We’ve all thrown a bag of popcorn in the microwave before. Microwave popcorn is convenient and ready in seconds. All you have to do is open the bag and dig in. But new studies are showing that microwavable popcorn bags can harm your health. When you want to indulge in delicious popcorn owning the best popcorn popper for home use is the way to go. Whether it’s movie night with a group of friends or a Netflix-and-chill kind of weekend, a popcorn maker will ensure you have enough buttery, theatre-style popcorn on hand. If you eat popcorn often, owning a popcorn machine is a must. Here are the 5 best popcorn poppers for your home in 2019. If you want to enjoy theatre popcorn from the comfort of home, try the Great Northern Pop Pup popcorn machine. This electric popcorn maker is modeled after vintage machines found in movie theatres in the 1950s. It has a stainless steel kettle inside the glass box that pops delicious popcorn and a removable inner tray that slides out for easy serving. This device makes about 16 cups of popcorn at a time and has a unique warming function to keep the popcorn warm if you don’t finish it all in one sitting. Large capacity: This popcorn machine pops up to 16 cups of popcorn or 2 1/2 ounces of popcorn kernels at one time. Small size: At 9.8 x 11 x 18.8, this vintage popcorn popper is small enough to fit on your kitchen counters. Vintage look: This machine features a chic, retro style 1950s design. 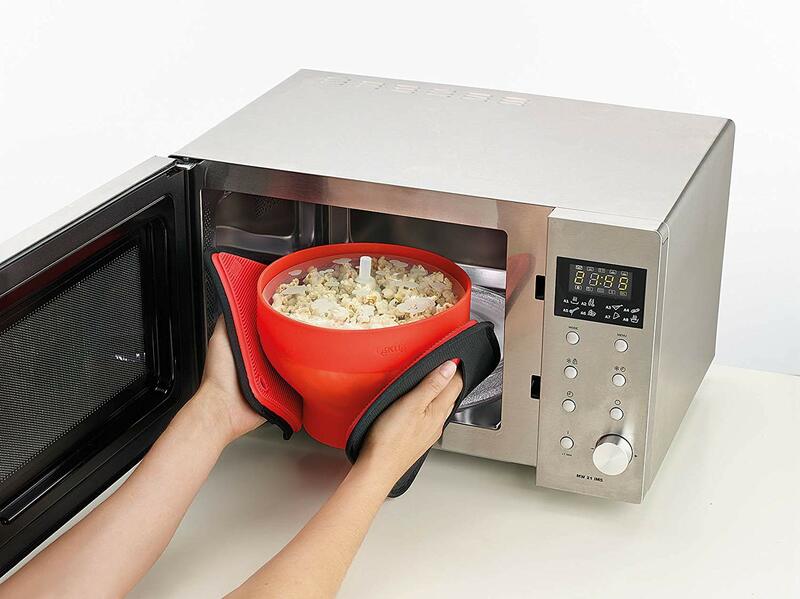 Warming function: This popper keeps the popcorn warm after kernels have popped. Difficult to clean: The interior needs to be wiped down, and the stainless steel pot and serving tray need to be removed and washed separately. Higher price: You’ll pay extra for the vintage style compared to other hot air and microwave styles. 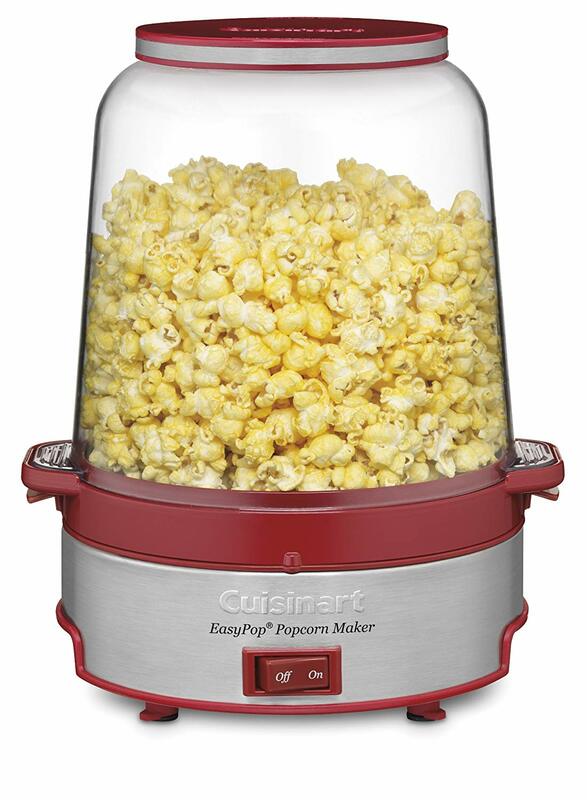 Cuisinart makes one of the most versatile popcorn makers you can buy, and you can get it for an affordable price. The EasyPop model is an electric popcorn maker that’s capable of making 14-16 cups of popcorn at one time in under six minutes. In spite of that quick cooking time, it can leave no kernels unpopped or burnt. Making crunchy, buttery popcorn has never been easier or more convenient. 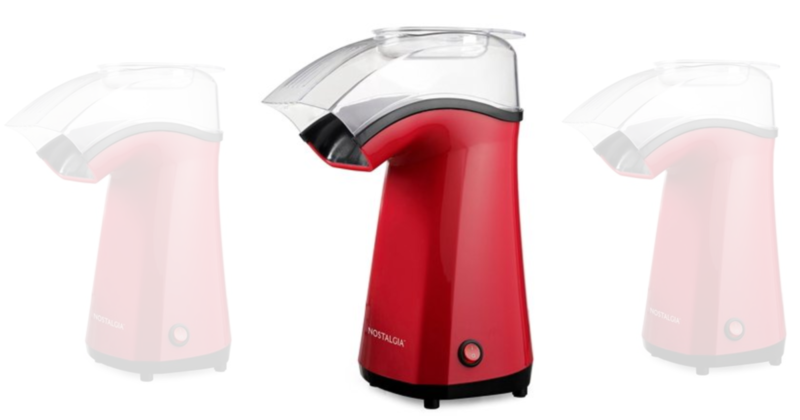 Unlike air poppers, this machine allows you to add oil and seasonings to make sure it turns out exactly how you like it. The popcorn is easy to serve in the popping bowl, and you can put the popper bowl and non-stick aluminum cooking plate in the dishwasher when you’re ready to clean up. Easy clean-up: All removable parts are dishwasher safe. Feeds a crowd: This machine is capable of making 14-16 cups of popcorn at one time. Personalize for your popcorn: You can adjust the oil and seasonings before popping. Requires immediate removal: You can’t let your popcorn sit in the popper. If you do, the popcorn might burn. The Presto Poplite Hot Air Popper is the faster, healthier, and more affordable way to make popcorn at home. If you consider popcorn to be a regular, healthy snack than a buttery (or even sugary) treat, this machine is perfect for you. It makes popcorn faster than microwave models, takes up the least amount of space on your kitchen countertops, and pops kernels without any oil or salt. Although the kernels don’t need oil to pop, you have the option of adding butter. This popcorn machine features a unique butter warmer that melts butter as the kernels pop. 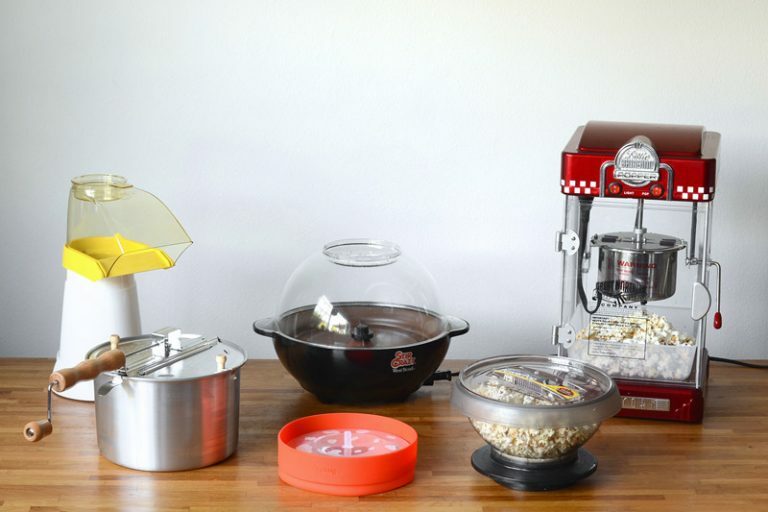 Fast popcorn: This popcorn machine pops 18 cups in under 2 1/2 minutes. Healthier option: The PopLite pops kernels without any added oil. 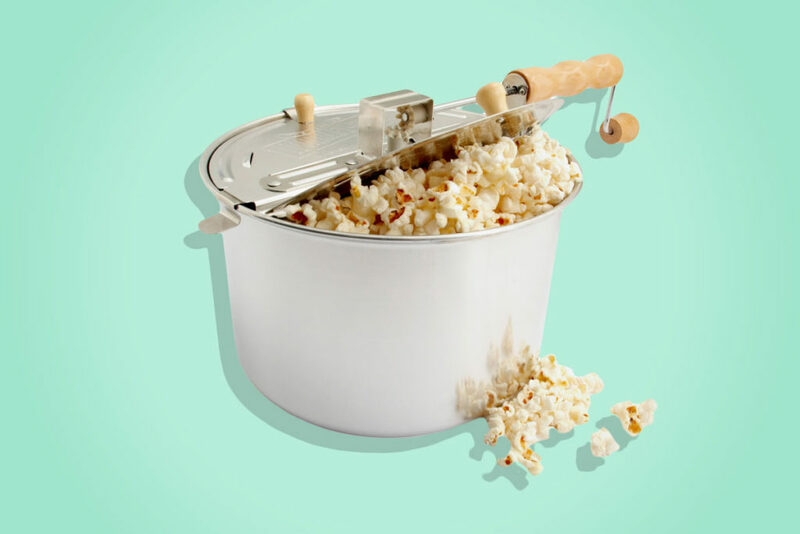 Health over taste: The popcorn you get from this popper isn’t as crunchy or flavorful when popped without oil. No serving bowl: Unlike many other poppers, this machine doesn’t come with a bowl to serve the popcorn. If making popcorn the classic way is more your style, a stovetop machine is ideal. The Wabash Valley Farms Stovetop Whirley Pop popcorn maker is one of the best spinner stovetop models you can buy. 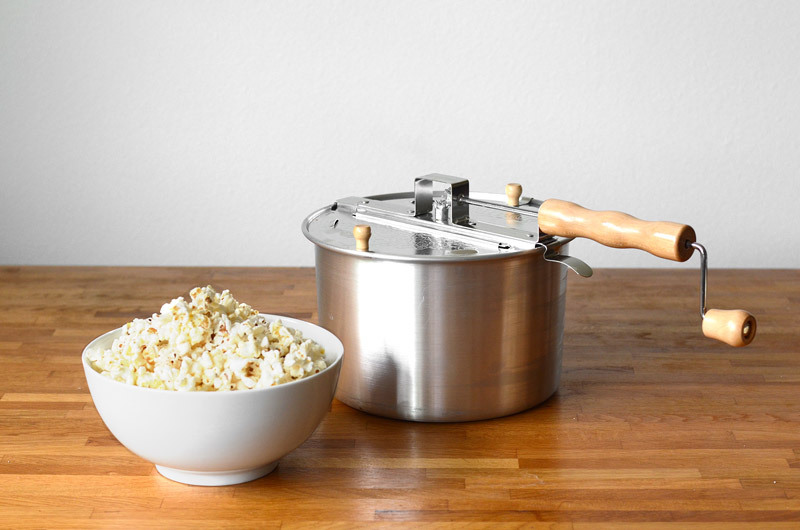 It makes 24 cups of theatre-style popcorn in three minutes! Best tasting popcorn: The Whirly Pop makes theatre-style popcorn with a stirring rod to prevent burning and make sure all kernels pop. Easy cleanup: You can wipe the machine quickly when you’re done using it. No burnt kernels at the bottom means no scrubbing the pot for you! 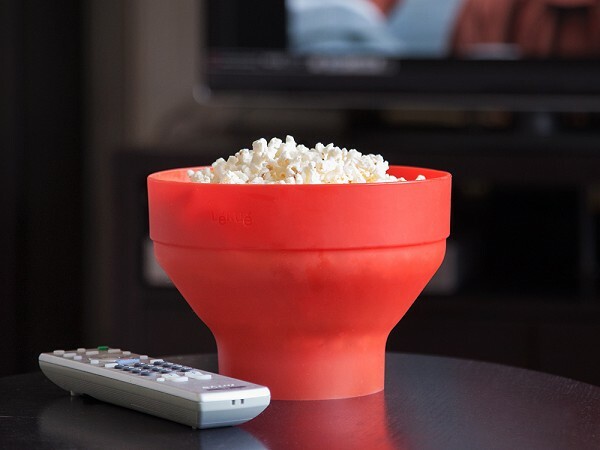 High capacity: This device pops 24 cups of theatre style popcorn at once. Needs monitoring: You’ll have to make sure you set the stove to the right temperature (medium, not high!) and make sure it’s stirring correctly. Not low in calories: Stovetop styles need oil to pop kernels. The Leuke Microwave Popcorn Popper is one of the most convenient models to use and by far the easiest to store. It also gives you the option of making popcorn with or without oil, making it ideal for anyone who’s health-conscious but also likes to indulge from time to time. 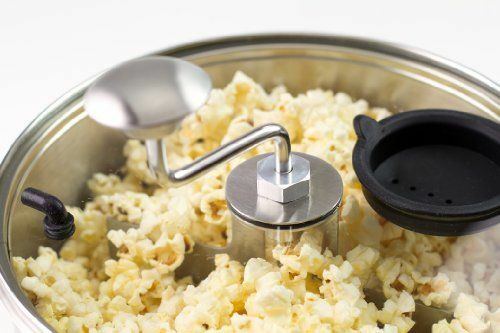 To use this popcorn popper, fill the bowl to the marked line with your choice of kernels, add oil (or skip the oil) and any seasonings you want, place the lid on the bowl, and microwave for three minutes. You’ll be amazed by how few unpopped kernels are left and how easy it is to use. Affordable: This popper costs under $20 on most retail sites. 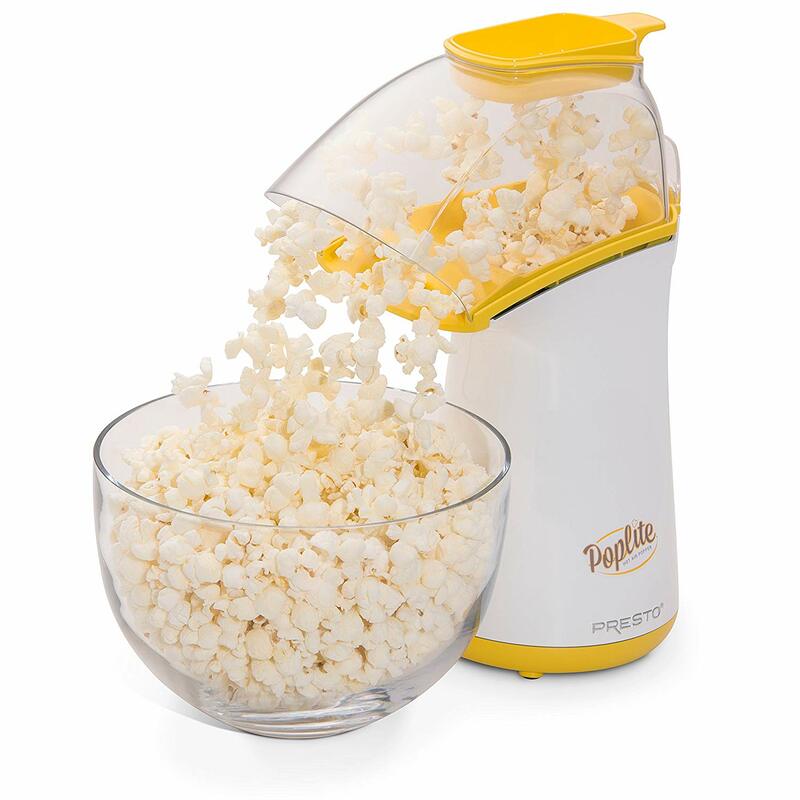 Easy to clean: The suction lid and popcorn popper are dishwasher safe. You can serve your popcorn directly in the popper bowl and stick it in the dishwasher when you’re ready to clean it. Easy to use: This machine gives you simple directions to follow, and you don’t need to monitor it while kernels are popping. High quality: The microwavable bowl is made from BPA free, non-stick silicon. Small capacity: This popcorn maker isn’t capable of popping large volumes of popcorn at once. When picking out a popcorn maker, pick the style that’s most convenient for you. While everyone loves popcorn, the way you choose to make yours is a matter of personal preference. 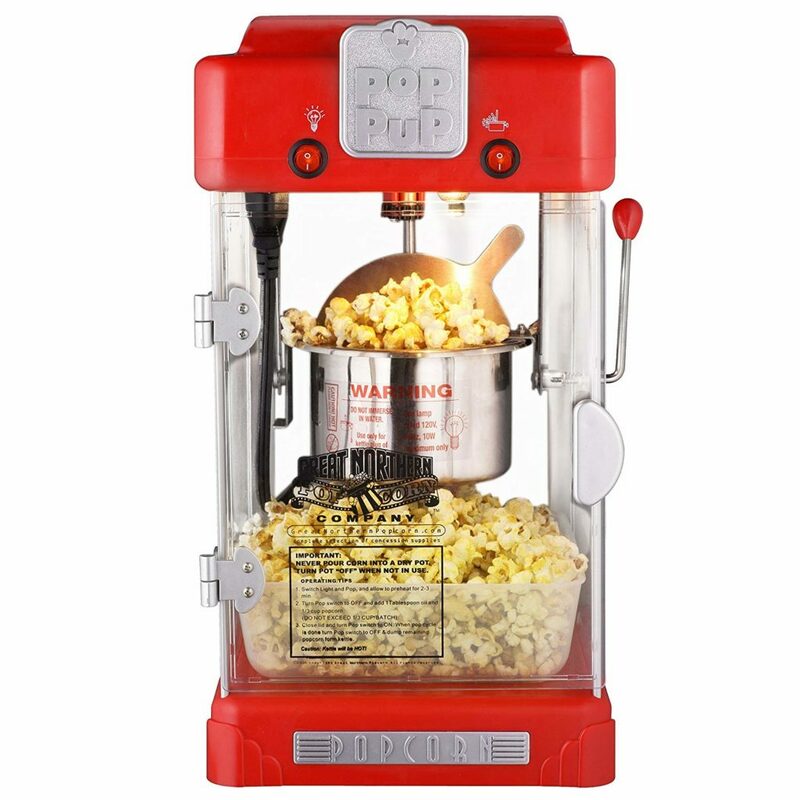 You have three main popcorn popper styles to choose from: microwave, hot air, and stove top. All of them are capable of making delicious popcorn. 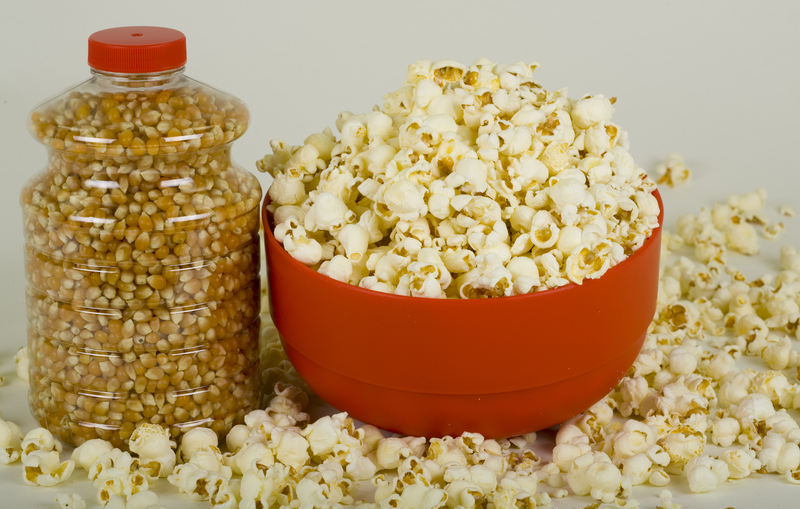 Using a microwave popcorn maker can be one of the easiest ways to make popcorn at home, and you don’t need to use those unhealthy microwavable popcorn bags. Most microwave popper bowls work the same way. You fill a microwavable popper bowl with kernels, add your oil and seasonings, put the suction lid on, and microwave for about three minutes. You can also skip the oil and salt for a healthier snack. If you’re going to go with a microwave style, look for one that’s BPA free and made of nonstick silicone. They’re better for your health and making cleaning up afterward as easy as loading your dishwasher. A hot air model makes some of the healthiest popcorn because it makes fluffy, light popcorn without any added oil. 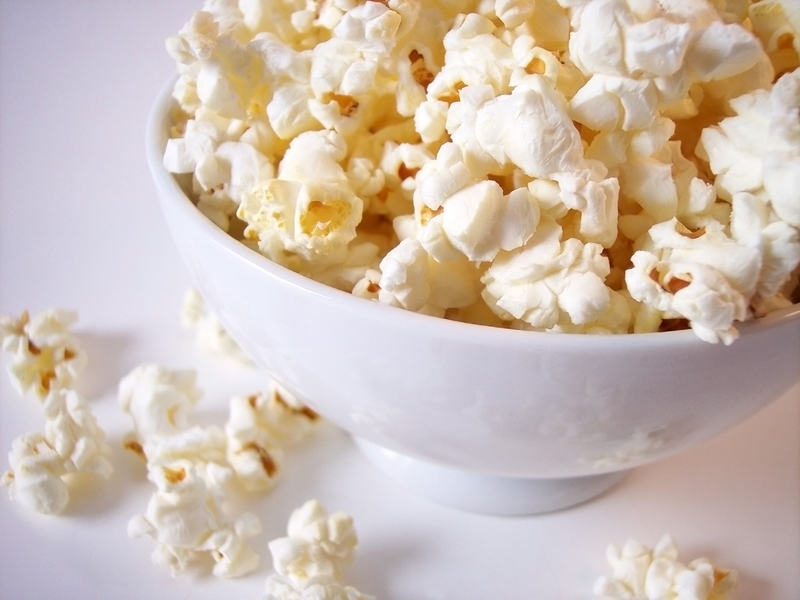 Popcorn, made without all the extra butter, oil, salt, and toppings is a relatively healthy snack. It’s the oil, sodium, and sweets that make traditional theatre style popcorn high in calories. 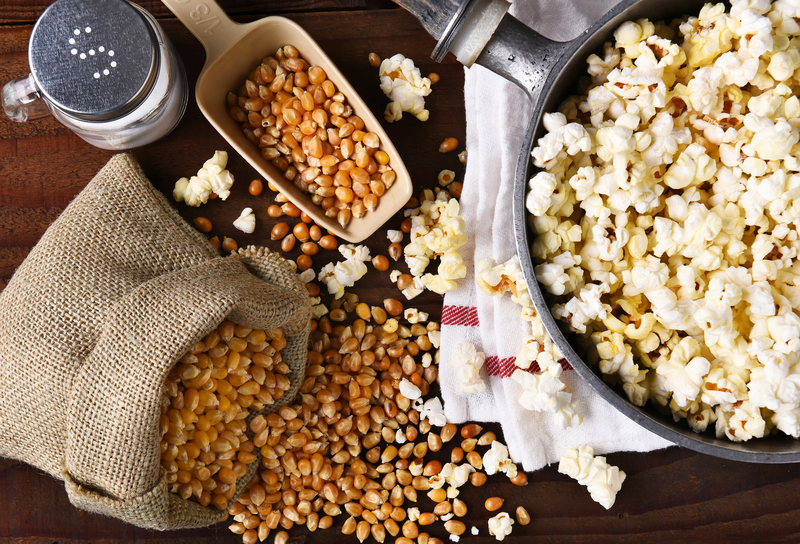 When it’s air popped with no added toppings, popcorn is only 30 calories per cup. While some reviewers of hot air popcorn models complain the final product is flavorless, it doesn’t have to be. You’re free to add as much butter and salt as you want once it’s ready to eat. The only downside is that seasonings don’t stick to the popcorn as well when you add them after the kernels are already popped. This model is the most traditional. While it’s probably similar to how your parents made popcorn, the stovetop popcorn makers available in 2019 are more modern. If you’re looking for a flavor-packed snack instead of a healthy one, a stovetop model might be your best choice. 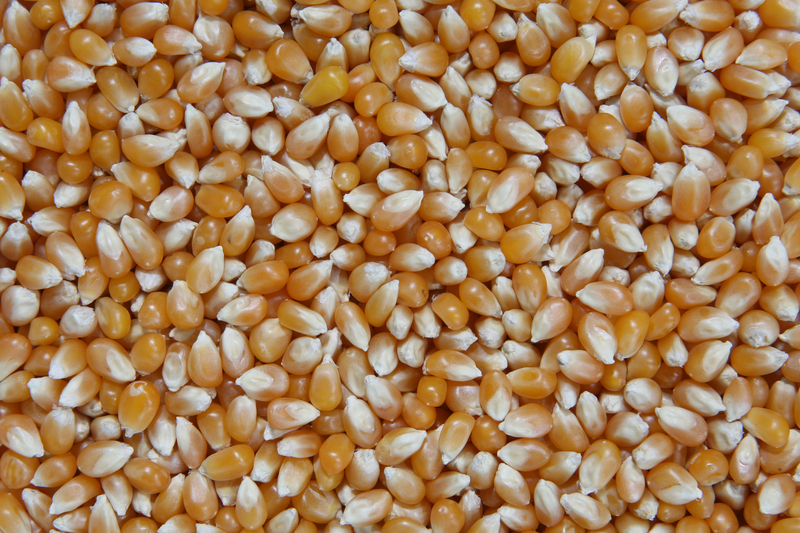 A stovetop popcorn maker requires oil or butter to pop the kernels. Don’t try making oil-free popcorn with this model. You’ll end up with a burnt, crispy mess. You can also add all of your favorite seasonings before the popping begins. Doing this helps the seasoning stick to the popcorn, and the types of popcorn you can make are endless. Experiment with new flavors every time you get out your popper. Spinner stovetop models make the fluffiest, crispest popcorn. Most come with an attached metal stirrer that helps make sure the kernels pop evenly and don’t burn. While popcorn is a snack that probably brings to mind relaxation and cozy downtime, buying a popcorn maker can be overwhelming. If you think there isn’t much difference in popcorn machines, think again. Before making your purchase, consider the following. The kettle is the pot that pops the popcorn kernels. Small sizes: If you know you’ll only be making popcorn for yourself, look for a kettle that’s capable of popping at least 4-8 cups. Large sizes: If you have a large family or want to host movie nights, pick a kettle that’s large enough to pop at least 16 cups at a time and up to 24 cups. Commercial sizes: Any kettle capable of popping more than 24 cups at once is considered to be commercial quality. Models with larger kettles will be more expensive than compact models designed to feed 1-2 people. The kettle material can affect the taste of the popcorn and make a difference in how easy it is to clean up afterward. Stainless Steel: Stovetop, vintage, and some electrical models use stainless kettles to pop kernels. Some people think stainless steel brings out the best flavor. You’ll need to add oil to avoid burnt kernels. It’s also better to choose a stainless steel model that includes an attached stirring rod to help kernels pop more evenly. Plastic: Air poppers and microwavable models are usually made of plastic. When picking out a plastic kettle, look for BPA free silicon materials. They’re healthier because they won’t leak toxic chemicals and are easier to clean. A plastic kettle is dishwasher safe. Plastic kettles are also convenient because you can pop kernels with or without oil. Most at home popcorn makers are straightforward and easy to use, but some models are more hands-off than others. Air poppers and microwave popcorn makers are the easiest to use. With these models, you have to add kernels and either microwave or press start on the air pop model. You can leave the popping corn until it’s finished. Stovetop and electrical models require more monitoring. You’ll have to add oil to stovetop model and electrical models with a stainless steel kettle. You also need to stay during the popcorn popping to make sure the kernels are popping evenly and nothing is sticking to the bottom of the pot or burning. Air poppers and electric plug-in popcorn poppers are the only models where the wattage output matters. 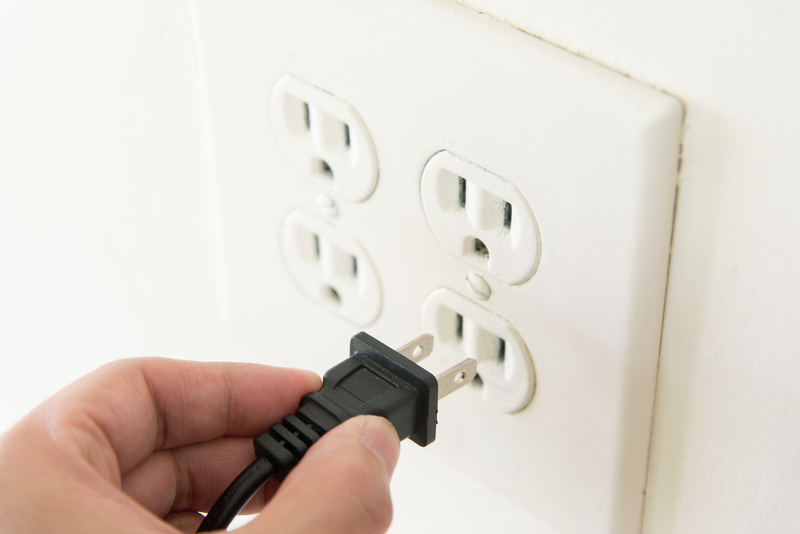 Stovetop models and microwavable models rely on your appliances’ electrical output to work. Hot air poppers and electric popcorn makers usually have between 1000 and 1400 watts of power. 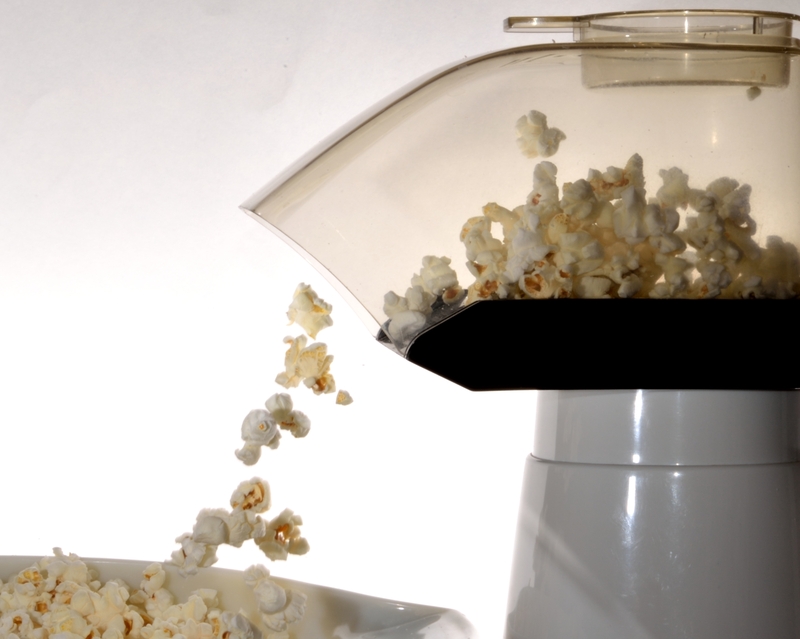 The wattage output determines how fast your popcorn maker can pop kernels. Machines with higher wattages will pop faster, but the ability to pop more quickly doesn’t always make superior tasting popcorn. Many stovetop models and even some electric models come with attached stirring mechanisms. The integrated stirring mechanisms help rotate the kernels to make sure they pop evenly and don’t burn. 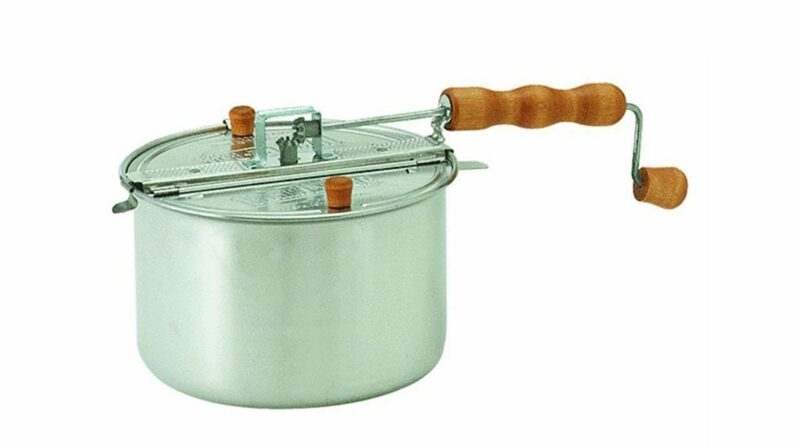 If you buy a stovetop popcorn popper, choosing one with a stirring rod will help you make the best tasting popcorn. Hot air poppers and microwave popper bowls don’t need a stirring mechanism because they don’t need to use oil. To make sure your popcorn maker keeps working efficiently for several years, clean it correctly. This type of popcorn popper is by far the easiest to clean. The sealing lids and popcorn popper bowls are dishwasher safe and easy to wipe down. If you’re going to make more than one batch of popcorn before thoroughly cleaning the parts, wipe them down between uses. Unplug your machine and let it cool down for about 30 minutes before cleaning. Remove the detachable kettle from the rest of the unit if there is one. Wipe it down with a damp towel. 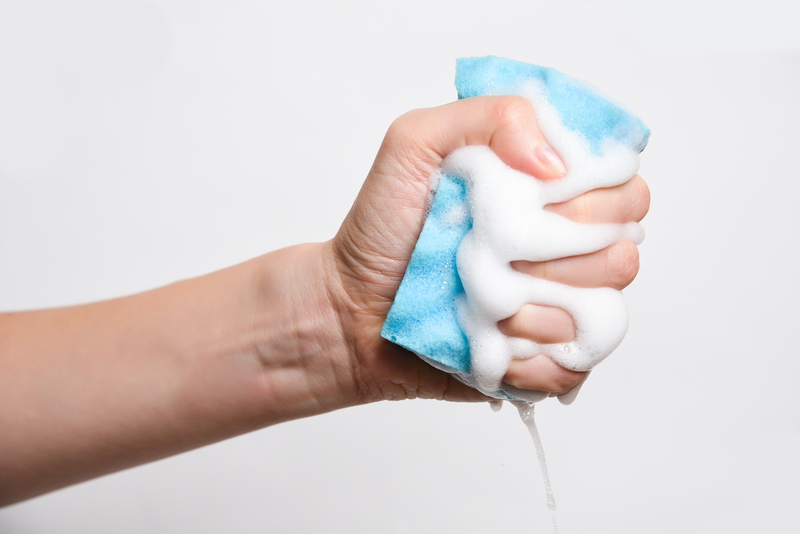 Wipe down the interior surfaces and any metal surfaces, such as the cooking plate. Wipe down the exterior of your machine. Important note: Don’t ever let the kettle of an electrical machine soak in water because it might damage the electrical parts. Cuisinart: This brand provides a limited three-year warranty that covers the cost of materials and workmanship due to defects. Great Northern: These machines come with a five-year limited warranty that covers defects due to materials and workmanship. Your machine will be repaired or replaced with one of the same or greater value. Lekue: This company offers a 10-year warranty that covers the cost of repairs or replacement due to damage caused by manufacturing defects. Presto: This company offers a limited one-year warranty that guarantees to repair or replace machines that have damage due to materials or workmanship. It only applies to buyers within the United States. Wabash Valley Farms: This brand covers the cost of repairs and replacements of the aluminum pan and all wooden parts for 90 days. All mechanical parts are covered under warranty for 25 years. The warranty covers damage due to defects in materials and workmanship. None of the companies offer coverage for accidents or misuse of the product. If you love popcorn, you’ll love having one of the best popcorn poppers so you can make your favorite treat at home. Use this buying guide and our reviews to help you find the perfect tool to create movie night snacks. Before you know it, you’ll be enjoying this treat regularly.